It's a very difficult day for me today, as tonight we'll be leaving Cairo. It's hard to believe we've already arrived at the end of our three-month residency here. We have made so many friends and so many memories that we will cherish for years to come. I wanted to mark our last week here by leaving a Lost Art painting on the bridge that we walk across each morning and evening when we move in and out of our neighborhood of Ard-el-Lewa. 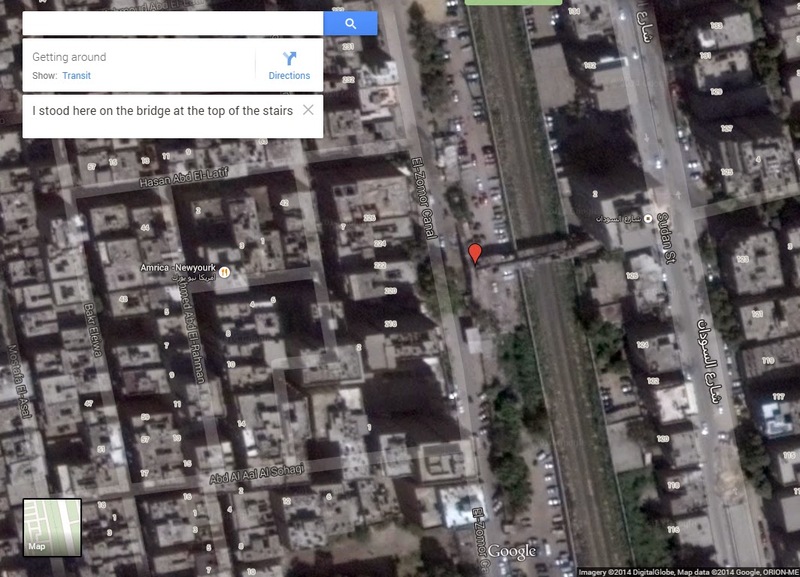 On the other side of this bridge are the official, recognized districts of Cairo. But here on our side of the bridge is the place we have called home. And here is where the people have taken us in and treated us like family. 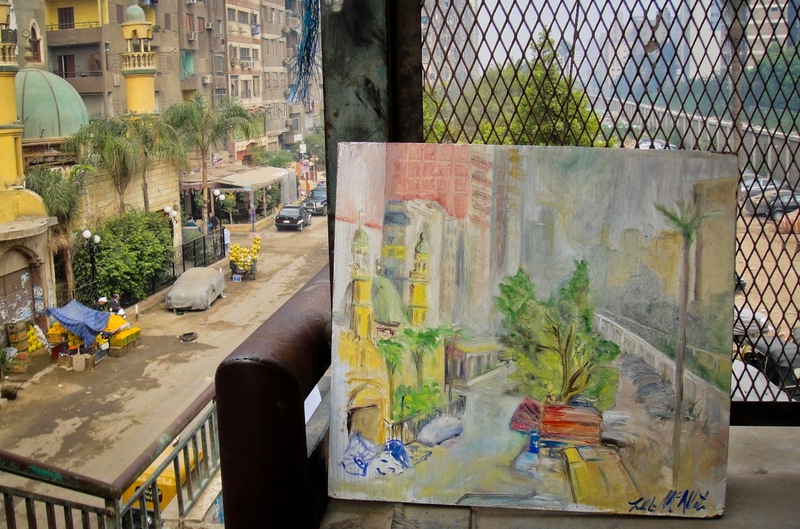 So here is where I hope someone finds my last Cairo painting and takes it as a gesture of thanks for the very warm welcome that we received in in this neighborhood. It is something that I will always remember! 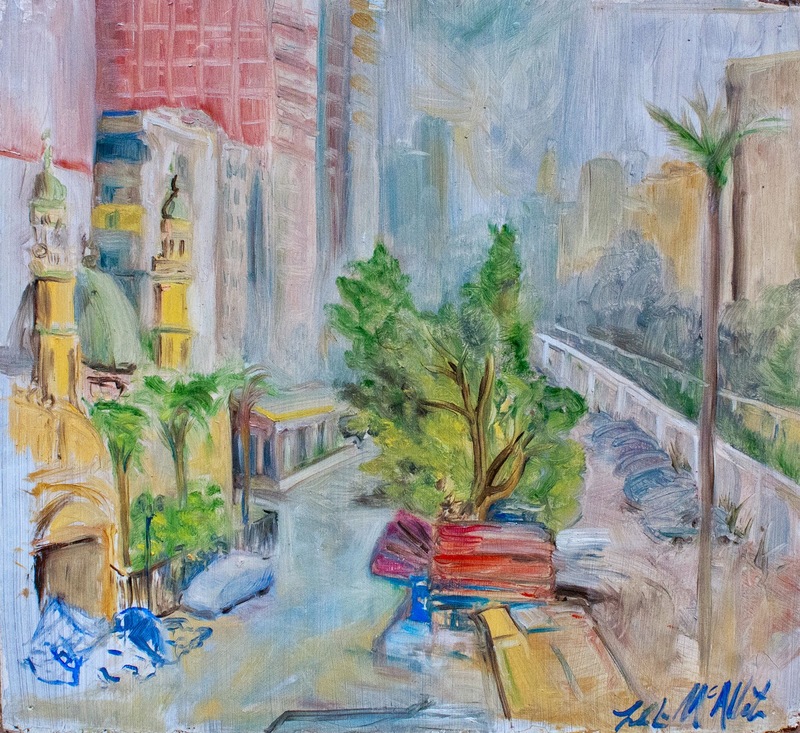 This painting, oil on found wood, roughly 41 cm x 37.5 cm, was left on the bridge overlooking the El-Zomor Canal in Ard-el-Lewa, Giza on November 30th, 2014 at 3:30 PM.